I am here to help you on your journey of evolving. Are you feeling the call to be of service? To learn energy work? If so... 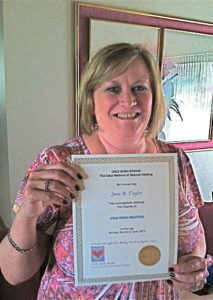 I teach the tenets of healing through Reiki certification. 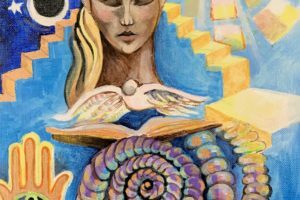 Are you experiencing strong perceptions and want to learn how to control and direct your powers, or create psychic protection? As a Mystical Mentor, I am honored to counsel you in mastering your gifts. Ready for personal transformation? Spiritual coaching as well as webinars can help you move beyond your present state into releasing what no longer serves you and embracing a more joyful and creative life. Please, browse through these pages to see what calls to you. When you are ready to raise your vibration and live a more centered and fulfilled life, click on the 'contact me' button, so that we can discover how I may best be of service to you. Sign up for my newsletter and get a free Crystal Singing Bowl meditation! A Radiant Light for Body, Mind, & Spirit! 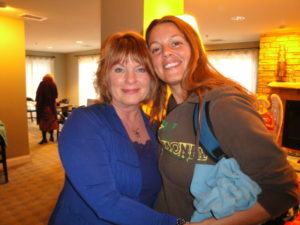 Having Linda as my Reiki Master for my Mastery level and teacher training was both an honor and a privilege. Her training was thorough and she took the time and effort to include much information pertaining to Reiki treatments and the teaching process for the three levels of Reiki. Some topics covered included energy fields, meditation techniques, and psychic protection. In addition, Linda educated me on essential oils and crystals, and how these healing modalities can be integrated into a Reiki treatment. 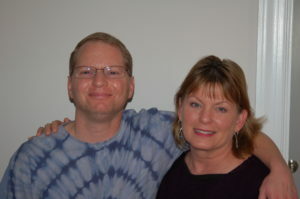 I feel blessed that the Universal Life Energy Force brought Linda and me together. I look forward to continuing to learn from Linda in the future. I would like to take a moment to thank you for the DNA Light Activation. What an amazing experience! 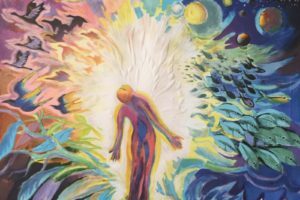 During the initial part of the activation I was taken aback by the profound energies and the profound transformation that began taking place. That proved to be only the beginning of the journey towards the integration. My work is changing on a daily basis. I am able to use my gifts with more ease and grace. My path is becoming so much more clear. I am receiving such wonderful intergalactic and Spirit communication. You helped me to find a part of myself that was missing; my origin Star. Thank you so much for this wonderful gift, Linda. The work you do is truly amazing!! I am eternally grateful!! Thank you for all you did to help me get past the biggest spiritual stumbling block of this lifetime. And thank you for the attunement some months ago that has me forever changed and connected me with the earth and the ancient past. I’m sure this new energy (to me) will guide my footsteps into the future. The last year has been one miracle after another. I’m so grateful to have you in my life. Sending you my love. I did the DNA Light Activation with Linda mid January 2014. I had no expectations for the session, but was absolutely blown away by the content of the session, the overall message and the loving support of many beings of the Light. This session made me even more excited to continue on my journey of self exploration and service to others. Thank you Linda for sharing this life changing activation with me and everyone who is ready! Linda! Met you in Orlando and wanted to say what a wonderful person you are. Danny and I are still talking about you and our readings! You are a wonder! Please accept my sincere gratitude for the the energy you chanelled yesterday. I felt a deep shift, release, and change and have felt physically better since yesterday afternoon. Thanks again. Linda is a loving and sincere individual. She has a proven dedication to healing and as anyone who works with her will find she is a true professional. She is someone to count on as she follows through with her commitments. I appreciate the opportunity to work with her. I love everything about this CD, and the music is out of this world! I was feeling extremely “subdued”, very low energy… [and had] a 90 minute session with a wonderful woman [Linda Backes]. We talked, I did some exploration into feelings … then she did Reiki on me. I feel very good now – like coming from no life to feeling fully alive = wonderful. She CLEARED ME OF NEGATIVE BLOCKS, AND THE ENERGY IS FLOWING NOW. I AM TINGLING FROM HEAD TO TOE. I get a massage every two weeks, and I have never felt this good after. Like everyone else, I have been faced on more than one occasion with the need to forgive others as well as myself. This is sometimes easier said than done. After I discussed this with Linda Backes, she was kind enough to share her CD Embracing Forgiveness with me. What a God-sent! Linda’s gentle, loving voice, which is accompanied in the background by Janet Sussman’s soft, soothing music, guides you in calling upon the heavenly realm to help with releasing any anger, resentment, hurt, and guilt that you may have been suppressing for many years. Although I have only had the CD for less than a week, I have listened to it several times. Just when I think I have forgiven everyone that I need to forgive, including myself, another name comes bubbling to the surface during meditation to let me know that I still have more forgiving to do. Knowing that forgiveness is an ongoing task, I’ve downloaded the CD to my hard drive, so I can quickly access it with the touch of a button. Each time I access it, I’m amazed at how easy it is to slip into a meditative state and how cathartic the act of forgiveness can be. I hope everyone takes advantage of this great CD to help them with the cleansing and healing act of forgiveness. Wowza! Did that DNA Light Body Activation energy do things. I feel like my life took a hit of speed and I’m getting downloads like crazy and the synchronicities are constant. I love it! Dear Spiritual Sister, Thank you for being a great channeler and allowing the Ultimate source shine through you. A Reiki hug!! Love and Light. Dearest Friend:The reading you did for me today was unusual. I had never heard of the Mystical Fochaadams, but it did reaffirm what my higher self already knew but had a hard time bringing into focus. [Your reading] also gave me an awareness about my life and hope for the future. Linda, you truly have a wonderful gift. Thank you. 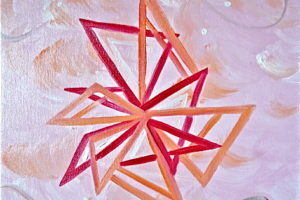 ​ Dear Linda, This week, [since my Reiki Attunement], I have been feeling many things. I have felt more connected with life. Although I was overtaken with sad feelings and found myself crying …releasing a lot of past emotions… I went into my room to relax and meditate. Today I actually saw the profile of my face which was looking down from above into a beautiful valley of of gold colors. I know this is only the beginning to something so powerful and beautiful that I can’t wait for more! Linda, I have you to thank for these beautiful experiences and and will treasure this special gift always. You are so intuitive and live in such beautiful frequencies. I was instructed several years ago of the importance of cord cuttings, but didn’t have a method to perform them. With Linda’s guidance to ask Archangel Michael to assist me while using the fire portal, I was able to develop a method that works wonders. We invoked AA Michael to cut all negative cords and I visualized the cords retracting into the violet fire. I visualized the cord burning and transmuting into white light to return to the universal field of energy. Archangel Raphael was invoked to place a healing balm on the wounds to seal them, rendering me whole and complete. As a lightworker and Reiki Master, I feel that these cord cuttings need to be done regularly. I truly feel better than ever. Thanks for your help, Linda! I met Linda at the LifeArtHeart Expo in Marblehead, MA. 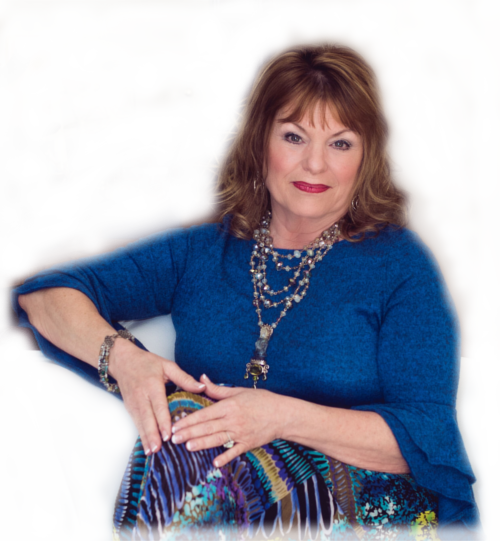 I had a 15 minute reading from her and ….Wow! [Linda] You made this amazing gathering shine! It was your presence and commitment to community and Spirit that created this awesome event of Light. We have received many emails and remarks from the visitors and it’s clear that your Divine connection and energy came across to all who listened…Thank you so very much for giving your valuable time to the event. Great gratitude [because] you traveled extra distance…. Thank you for being the willing messenger that I needed – exactly when I needed it. I believe it’s too soon to tell exactly what my changes are, but I can tell you that in my heart, there is more room. It has expanded. My back – where I used to keep much tension – feels as though it isn’t mine. Not free of tension exactly as I had to hit the ground running late Monday night and then after only a few hours of sleep got back to a crazy day of work, but it feels different in that I need to become accustomed to how it feels. ALSO I’ve begun dreaming again. : ) I am looking forward with great and joyful anticipation to how our paths will cross again. What a pleasure it is to have connected with someone as powerful as you! You are a remarkable energy worker, wrapped in the Divine Light of the Angelic Realm. Metatron has also let me know how pleased the Angelic Realm is with your good work! It has been six weeks since you sent me the Light Body Activation. As you told me, it took about 4 weeks to be completely integrated. Some work was required on my part to release ideas that no longer serve me. ​I am amazed at the overall effect of this activation! Some of my psychic friends have commented that I “look” different and calmer. Readings that I do on a regular basis come through clearer and my blocks have been reduced. I have experienced some amazing connections in meditation. I also received an added bonus! I have mild Crohn’s disease of the intestines. During the activation, I could feel work being done on my abdomen. I have been feeling much better since your activation and the symptoms of my irritable bowel and Crohn’s is greatly reduced! 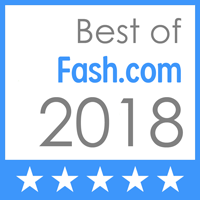 ​Love & Light to you Linda, THANK YOU so much! Sign up for my newsletter and get a free meditation!